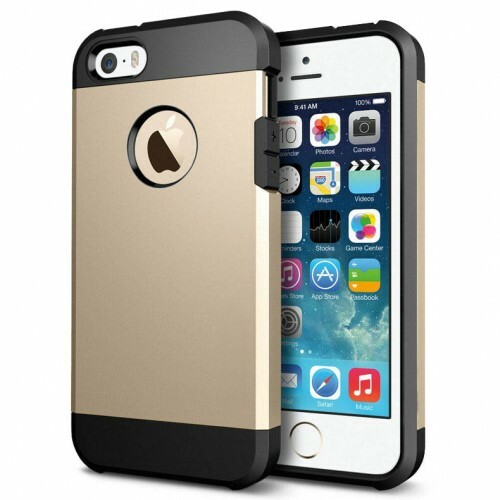 Clothe and protect your iPhone 5/5S with the unique Tough Armor Case ! What made the iPhone 5/5S so different from previous iPhone's is the dual material concept designed by Apple Inc. 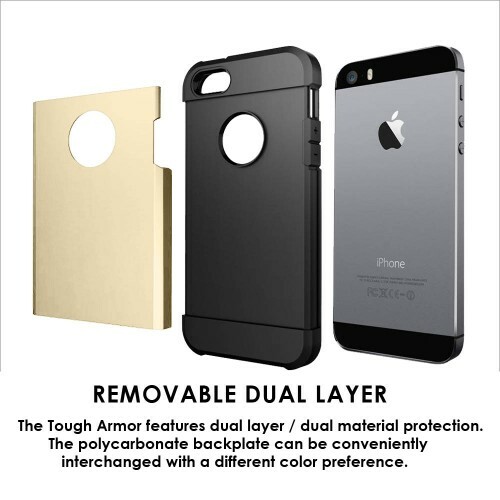 The Tough Armor case line was designed and created without taking away that luxurious design concept Apple implemented with the new iPhone 5/5S. Whether you want a subtle color scheme or a flashy one, the different Outfit colors will match your need! Be a trend setter and match your iPhone 5/5S with your wardrobe; interchange different cases depending on your mood! Whatever you desire to do, do it with style and class with Metal Watch Chain Bumper cases. Mobile devices have become thinner and more advanced with the growth of technology. 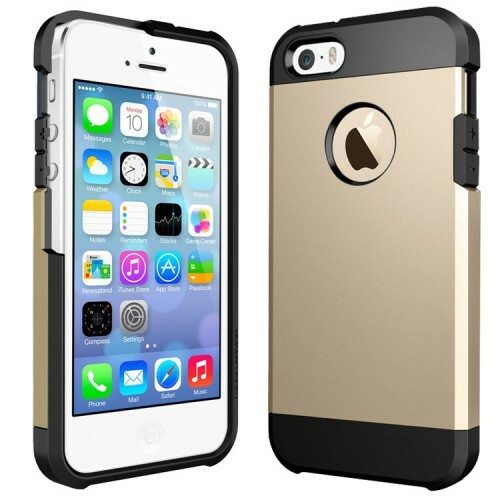 However, protective cases have not followed that trend and instead have become bulkier and dull. The Tough Armor has set to change all that. The new Tough Armor protects your phone better than bulky box cases without sacrificing style, functionality, and simplicity. With innovative design and technology, the Hippo Buckle Bumper stands alone as the new leader in protection while keeping a slim profile. New Air Cushion Technology corners reduce the thickness of the case while providing optimal protection for your iPhone 5S / 5. High-quality processing. -All function buttons and ports are easily accessible. Lightweight, versatile and anti-skid design. Perfectly match with your phone's shape and make your iPhone 5 5S personalized. The iPhone 5/5S is a phone with remarkable design and it needs the proper case to compliment it. Clothe your phone in the crisp, clean style it deserves with our Tough Armor case! Check out all of the eye-catching colors available!